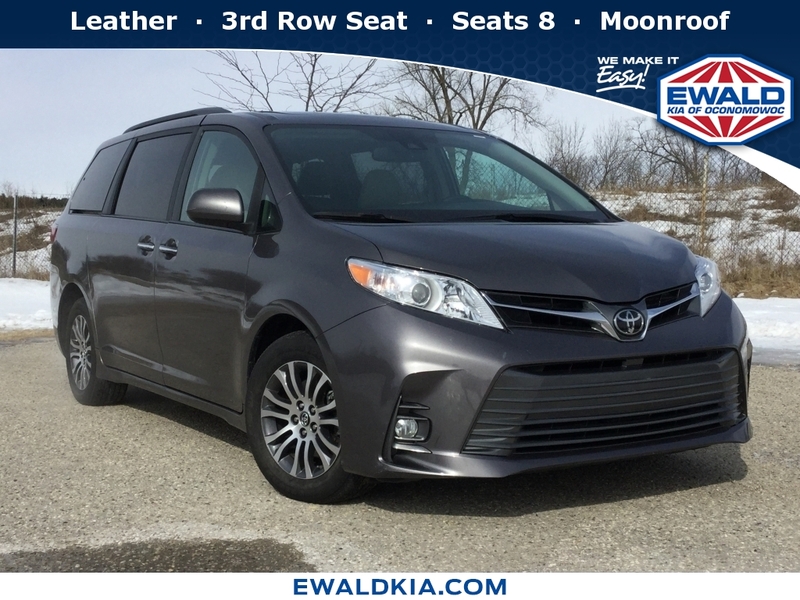 DESIRABLE FEATURES: This KIA CERTIFIED 2016 Kia Sedona LX sets itself apart with a 3rd Row Seat, a Seats 8, a Rear Camera, and Remote Entry for comfort, enjoyment and safety as you navigate from Brookfield to Waukesha. This 2016 Kia Sedona LX features a Silver Exterior with a Gray Cloth Interior and has only 47,932 miles. KIA CERTIFIED: It's not just a used car, it's Kia Certified Pre-Owned this 2016 Kia Sedona LX comes with a host of benefits. Every Kia that earns the title of Certified Pre-Owned (CPO) is five years or newer, has less than 60,000 miles and has undergone a thorough 150-Point Quality Assurance Inspection. From brakes to electrical to engine, every aspect of your vehicle inspected. All of the highest standards come standard in a Kia Certified Pre-Owned. Choosing a KIA Certified Pre-Owned gives you the confidence of knowing each vehicle comes with Kia's comprehensive package to include: 10-year/100,000-mile Certified Pre-Owned Limited Powertrain Warranty, 12 month/12,000 mile Platinum Coverage, 24-Hour Roadside Assistance, Towing/Rental/Travel Breakdown Coverage, 150-Point Quality Assurance Inspection, Free CARFAX® Report on vehicle history, 10-Year Unlimited Mileage Roadside Assistance Plan. TECHNOLOGY & INTERIOR FEATURES: This New 2016 Kia Sedona's technology features Include Steering Wheel Audio Controls, an Anti Theft System, an AM/FM Stereo, an MP3 Compatible Radio, and a Single-Disc CD Player. Brookfield to Watertown commutes become a pleasure with interior features that include Rear Heat / AC, an Overhead Console, a Power Drivers Seat, Illuminated entry, Rear Reading Lamps, Bucket Seats, Air Conditioning, Vanity Mirrors, a Center Arm Rest, a Rear Window Defroster, a Reading Light(s), and a Split Folding Rear Seat. SAFETY & ECONOMY FEATURES: Your four season Wisconsin driving will demand features like this 2016 Kia Sedona LX vehicle's Electronic Stability Control, Brake Assist, Integrated Turn Signal Mirrors, Overhead airbag, Anti-Lock Brakes, Delay-off headlights, Speed Sensitive Steering, Dual Air Bags, Occupant sensing airbag, a Passenger Air Bag Sensor, and a Front Side Air Bags. This Sedona's EPA rated fuel economy is 24.0 highway, 18.0 City (Based on EPA mileage ratings). Use for comparison purposes only. Your mileage will vary depending on driving conditions, how you drive and maintain your 2016 Kia Sedona LX.